We have a major damp problem, that no-one can solve!! Its a Victorian property, 7 years ago the plaster was all taken off till 1.7 meters, injected and re-plastered, render with water proofer applied outside. We have water marks between 1.6 and 2 meters, it is a perfect band running along both gable ends (nothing on either other walls). Damp meter reads dry above and below these patches, we have our windows locked open all the time. No one can identify where it is coming from, the render is all in tact?? HELP!! This is the wall in the lounge, this band continues through the lounge to the dining room. The damp starts at approx 1.6 meters and finishes at 2 meters high. There are two chimney breasts in these rooms, the band of damp continues over them both. These walls had the original plaster removed 7 years ago, injected and re-plastered. The render out side had a chemical put into it. This wall again is completely dry below and above the damp patch. The render is in tact and in good condition. We have had builders, damp specialist and roofers out. The damp specialist couldn’t identify the source, the builder suggested that the roof didn’t overhang enough, but then couldn’t work out why all up stairs rooms are completely dry! Although all rooms upstairs are dry, they do feel very cold. We have the central heating on, and light the fires. I think the damp looks worse after rain! I would really really appreciate any light you might be able to shed on this!! One other thing I notice is the walls appear to have been battened at some point, presumably to cover the damp. There are screw-plugs in the walls, and vertical pencil marks for the battens. I’ll do it by a process of elimination. Jemma, when you say Gable Ends, I take it this is a detached house? If so it can’t be due to leaks in adjoining properties, which I would otherwise suspect. If it was a terrace or a semi with dampness in the party walls, and it had a gully roof (a separate roof over each house running front to back, with a gully over each party wall) I’d suspect a gully leaking into the party wall. That is very common – but it usually shows in upstairs rooms first. So… the water has to be coming from outside, or from the ground. 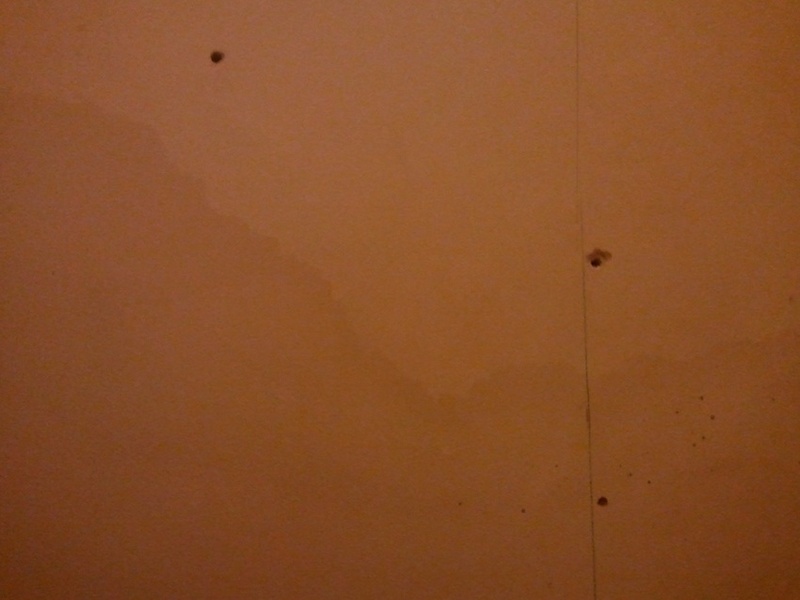 Rising damp doesn’t usually rise beyond about 1.2 metres, so my next suspicion would be water penetrating from outside. But you say the outside has been waterproof-rendered, and is in good condition i.e. not cracked at all. Furthermore, I take it there’s no likelihood of the roof leaking directly into the wall top? This would also normally show in the upstairs rooms first. You say there are no pipes in the walls which could be leaking. If you are absolutely sure we can rule that out. What about gutters and rain-water downpipes? Sometimes these spill over, releasing a torrent of water down the walls whenever it rains. This will usually penetrate solid walls, even with good render outside. Check the gutters and downpipes for overspill and leaks next time it rains. It’s a Victorian house so presumably you don’t have cavity walls. Occasionally when cavities are insulated with blown fibreglass in wet areas, the insulation wicks moisture across the cavity to the inside skin and creates damp patches. What about earth or rubbish piled against the wall outside? This effectively raises ground level and allows water to migrate sideways into your walls. Remove any rubbish from the walls. Water coming down chimneys and setting on debris on an internal ledge is a possibility. It can migrate sideways, but not usually the full width of a wall, so I’d be surprised at this. Cleaning and capping chimneys, with appropriate venting, or removing them completely if unused, is a good idea. 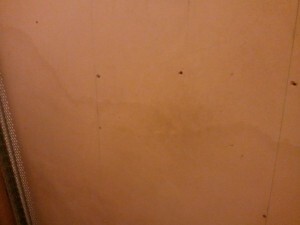 Next possibility is rising damp, which in this very odd case I think is the most likely. Without a physical inspection, I can’t say conclusively, but it sounds likely. As I say, very unusual for damp to rise above 1.2 metres and I’ve only seen it once, with a wall containing some very hydrophilic (attractive of moisture) mortar. The dampness went over 2 metres high! If there is a stream running nearby that can make matters worse too. The wall was unsuitable for injection, or the injection didn’t work properly. When the wall was re-plastered, a waterproof render would have been applied to the inside of the wall, normally up to 1.2 metres. In this case they rendered right up to 1.6 metres – I wonder why? Could it be that unusually the damp had risen that far? So, now the waterproof render keeps the water out from floor level up to 1.6 metres. The walls will appear dry to a damp-meter up to this hight, even if they are sodden beneath the render. Method 1. is quite labour-intensive, and involves removal of a few bricks at a time, inserting plastic damp-proof-course (DPC) into the bottom of the walls as you go. The sheets must overlap, allowing no possibility of water bridging through masonry. You should also have a metal bell-bead inserted just above the DPC and rendered over, to deflect rain water away from it. Method 2. is messy, and involves chipping more plaster off the insides of the walls and raising the internal waterproof render even higher. Trouble is, you could get into a waterproofing arms-race, where the rising moisture just travels higher to get above your render. If it caused moisture to rise into parts of walls with floor joists set into them (very bad practice but that’s what most builders did before modern building regulations) then you could get rotten floors too. If it was my house, to save expense I’d try a test area of inserted plastic DPC on a short area of one wall, say 2 – 3 metres from a corner with a dry wall, and see if it made any difference, before committing to more works. If it’s cold I’d also insulate the loft with 12 inches of fibreglass roll, tucked down snugly into all corners, but leaving a small space at the eaves for ventilation of the loft. Seal any open fireplaces when not in use with a board, otherwise all your warm air will be sucked up the chimneys! I hope that helps. If anyone else has a question, feel free to write in and I’ll do my best.